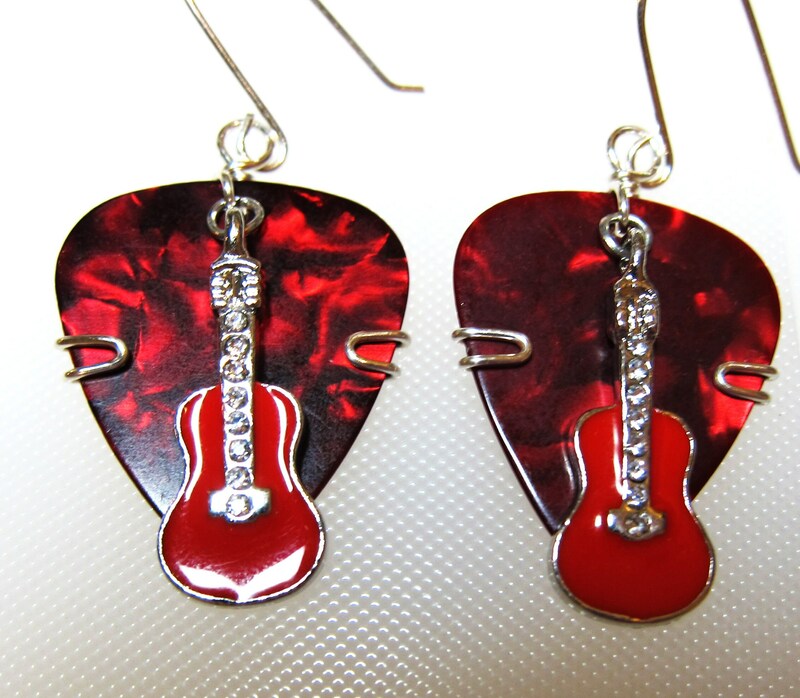 Guitar Pick Earrings = Pearl red Guitar Picks with red guitar charms. Guitar Pick Earrings - Pearl red Guitar Picks with red enamel guitar charms with rhinestones down the neck of the guitar. 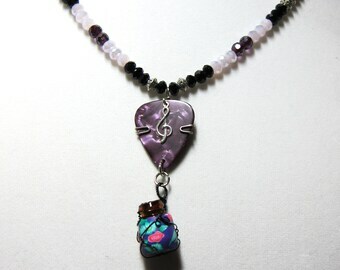 The picks are wire wrapped with Twisted Picks copyrighted method of wire wrapping guitar picks. 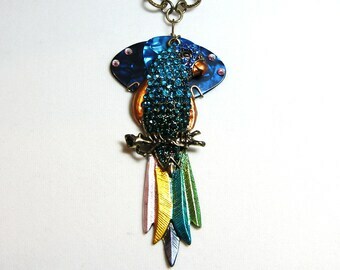 This means the charm does not come off, it is wire wrapped into the design. Most others just use a jump ring to put their charms on, we attach it with a method that is copyrighted to us. The earring wires are sterling silver. Please message me for any questions or comments. Guitar Pick Earrings = Pearl Grey Guitar Picks with black guitar charms.